Enjoy Unlimited Visits to Canada's Wonderland and Splash Works every public operating day in 2019. 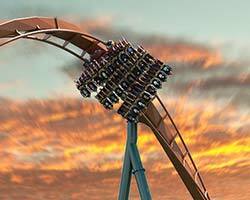 Plus, get Halloween Haunt discounts, Bring-A-Friend discounts, Early Ride Times and more! As Low As 6 Easy Payments of $12.49 Or $74.99 total. Plus applicable taxes and fees. 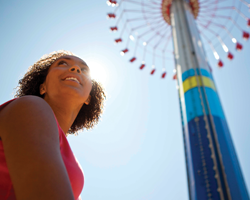 Enjoy Unlimited Visits to Canada's Wonderland and Splash Works every public operating day in 2019. Best of all, your Gold Pass includes unlimited visits to Halloween Haunt and WinterFest, Bring-A-Friend discounts and Early Ride Times, and more! As Low As 6 Easy Payments of $17.49 Or $104.99 total. Plus applicable taxes and fees. Enjoy all the benefits of a Gold Pass plus Free Parking all season long in 2019, with the added benefit of enjoying all of those exclusive privileges at all Cedar Fair Parks in the U.S. including Kings Island, Cedar Point and more! Just 6 Easy Payments of $36.33 Or $218 total. Plus applicable taxes and fees. Get the most up-to-date information on Season Passholder benefits like Bring-A-Friend dates, Early Rides Times and more. Stay fueled for the thrills all season when you add the All Season Dining plan to your 2019 Season Pass! For one low price, enjoy lunch and dinner every visit! Only valid for 2019 visits. Dining Plan participating locations & menus subject to change without notice. Operating hours vary by location. There is a 4 hour interval between meals. Drinks are not included. Please see Dining Plan locations and meal options in the Dining Plan Frequently Asked Questions. Choose between the All Season Souvenir Bottle or go bottle free with the Season Pass Drink Plan and refresh every visit in 2019 with unlimited refills* for one low price! Enjoy refreshing Coca-Cola beverages all season long! 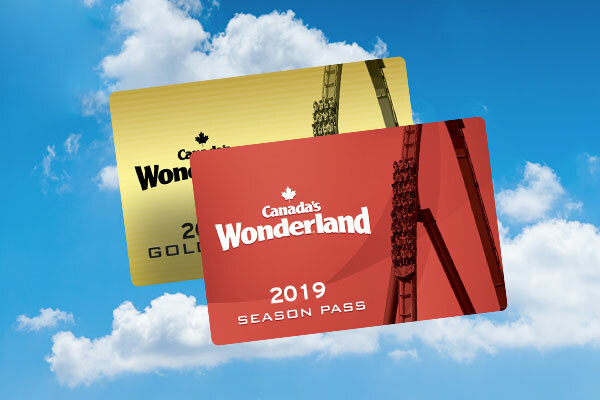 Capture a season of memories when you add FunPix to your Season Pass and get unlimited digital, professional park photos from every visit to Canada's Wonderland during the 2019 season. Add All Season Parking to your 2019 Season Pass and save on parking all season! Valid for parking any public operating day at Canada's Wonderland during the 2019 season. Only valid for 2019 visits. Not valid for parking during Halloween Haunt. Take your Season Pass e-ticket to our Season Pass Processing window at Front Gate to process and receive your Season pass ID card. I lost or forgot my pass. What can I do? You can also download the Canada’s Wonderland mobile app and upload then store your passes digitally in the app. You would then simply show your passes on your phone at the turnstile.